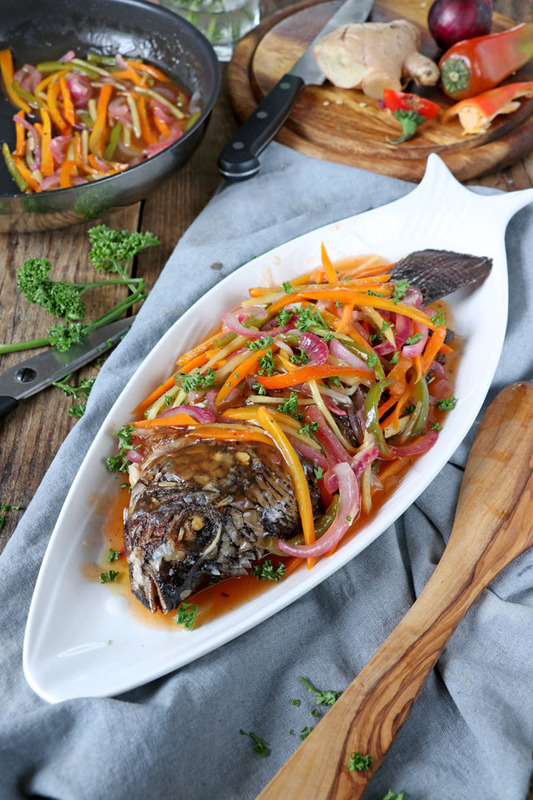 Try this easy recipe for a colorful, tangy-sweet Filipino Escabeche or Sweet and Sour Fish and bring your plain fried fish to the next level of goodness. 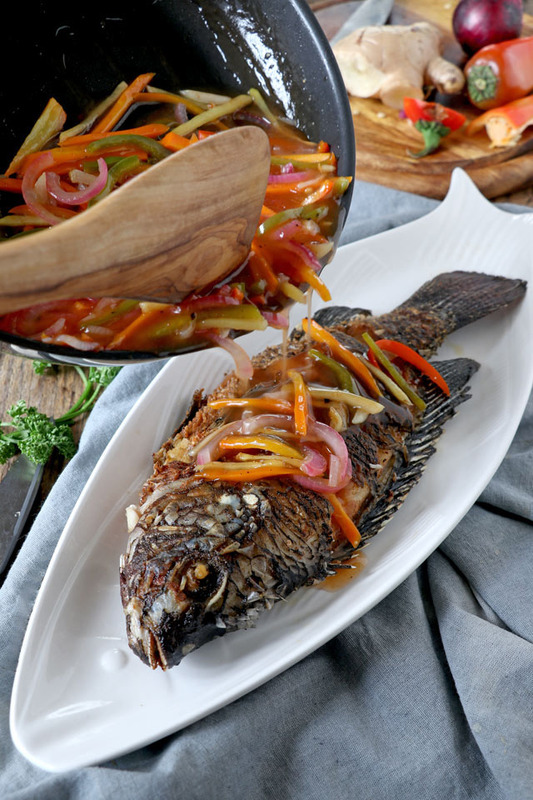 Escabeche is a dish which is typically made from fish or meat that is marinated and/or cooked in vinegar and some spices. It is a common dish in Spain and other Mediterranean countries but also common in Portugal and France. But the word escabeche actually has a Persian origin. The dish has been introduced to other Spanish-speaking countries (former Spanish Colonies) and was adjusted or modified locally. 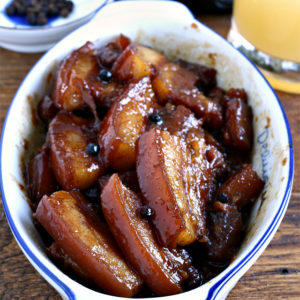 In the Philippines, however, it refers specifically to sweet and sour fish, wherein the fish is first fried and then soaked or marinated in the sweet and sour sauce. This is actually a conservation technique to enable the dish to last longer. What fish to use for Escabeche? 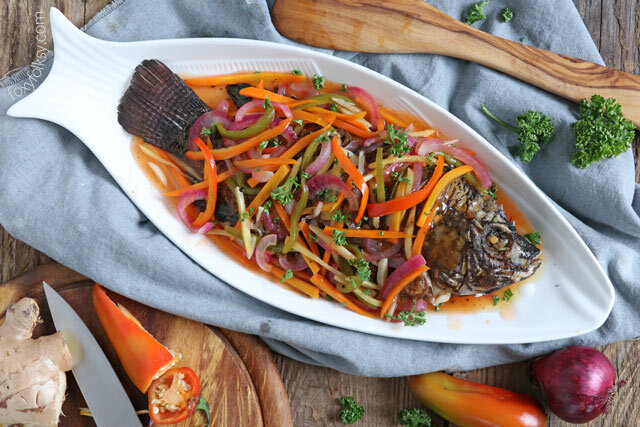 In the Philippines, it is common to use Tilapia for Escabeche but you can actually use any fish that is available. Other fishes commonly used for this dish are red snapper (Maya-maya), grouper (Lapu-lapu). 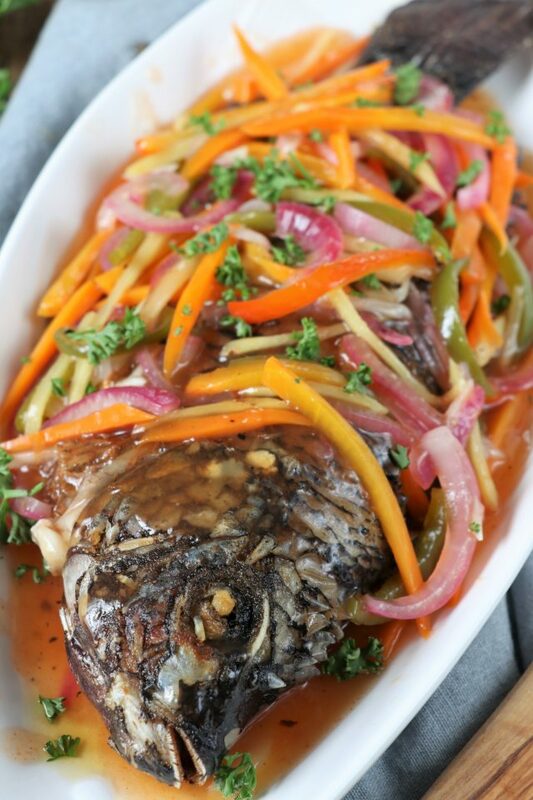 Usually, any fish that are flat and wide and are good for frying should make a wonderful escabeche. 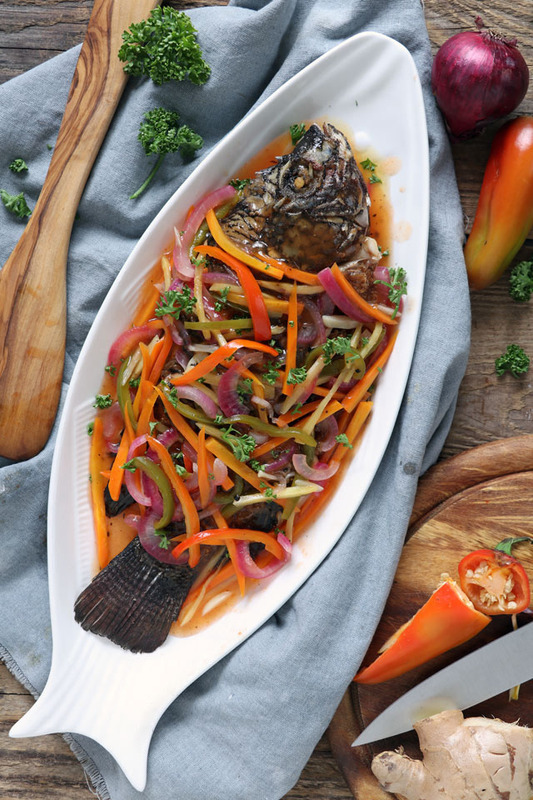 A big fish is typically used for making Escabeche, and Tilapia, being able to meet all the requirements plus being cheaper than the other fishes I mentioned, is the best choice for everyday cooking. Leave the more expensive fishes for the special occasions. I am a widow who tries to learn varied recipes for my children. 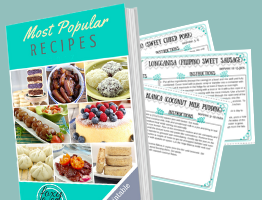 I just love to cook for them – foods that are not so expensive and good for their health. 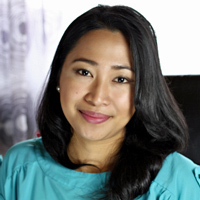 I like your filipino recipes. 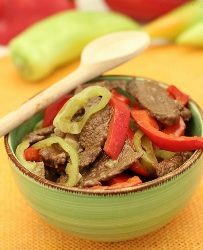 I wish you could publish more delicious pinoy recipes which doesn’t require much expensive ingredients. Thanks. That is so nice that you love cooking healthy food for your children. I will try my best to grant your request. ?